Beijing says it will allow foreign companies to own Chinese banks and investment firms in the latest sign the world's second-biggest economy is opening up its vast financial industry. China's vice minister for finance Zhu Guangyao revealed the changes during a press briefing Friday. A cap on foreign investment in Chinese banks will be removed. And foreign investors will be allowed to own 51% in securities firms, investment managers and life insurance providers. Zhu said the new rules would come into play "soon." He gave no further details on timing. Big Western banks are largely absent in China -- only HSBC (HSBC) has a significant presence through its 19% stake in Bank of Communications -- but they are keen to take advantage of the country's growing wealth. The restrictive ownership rules in China's sector have been a big bone of contention for U.S. firms in the recent past. As foreign banks were only allowed minority shareholdings, they had limited influence over big decisions. That's why JPMorgan (JPM) sold a minority stake in its investment banking joint venture in the country last year. But CEO Jamie Dimon has since said he would be up for a second crack at China if the bank could control its business there, and a spokesman for America's biggest bank welcomed the rule change. JPMorgan would "evaluate viable options to strengthen its position in China," the spokesperson added. A top European bank voiced similar approval. "The Chinese government's decision to allow foreign companies to take up to 51% in securities joint venture represents an important step in further opening up China's financial sector," said Eugene Qian, chairman of UBS's (UBS) China Strategy Board. 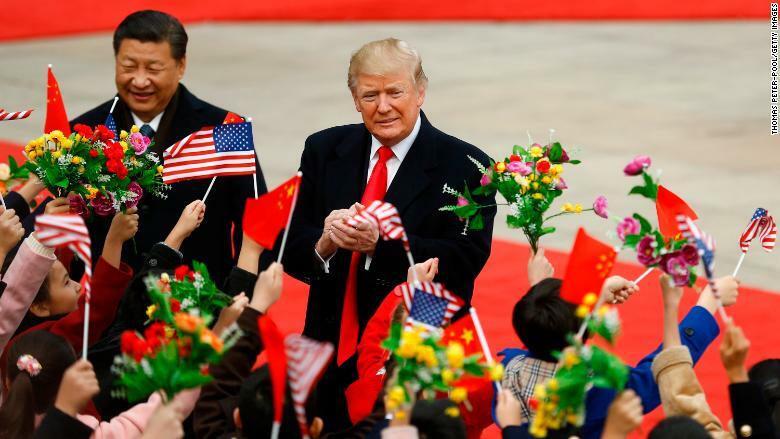 The news came at the end of President Trump's visit to China this week. Trump frequently points out China's huge trade surplus with the U.S., which stood at almost $350 billion last year. Making it easier for American firms to sell financial services in China could help to achieve a better trade balance. Experts said the changes had been in the works for a while. 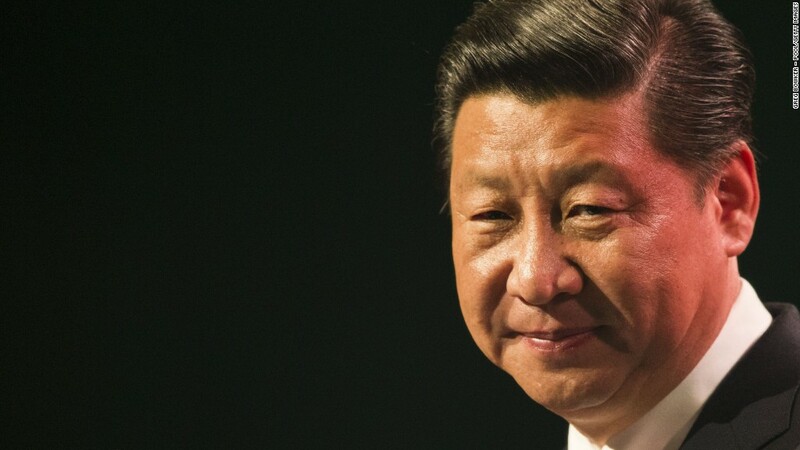 "These reforms were already in Xi Jinping's playbook," said Aidan Yao, an economist at AXA Investment Managers, referring to the Chinese president. Still, they could prove tantalizing for foreign investors. 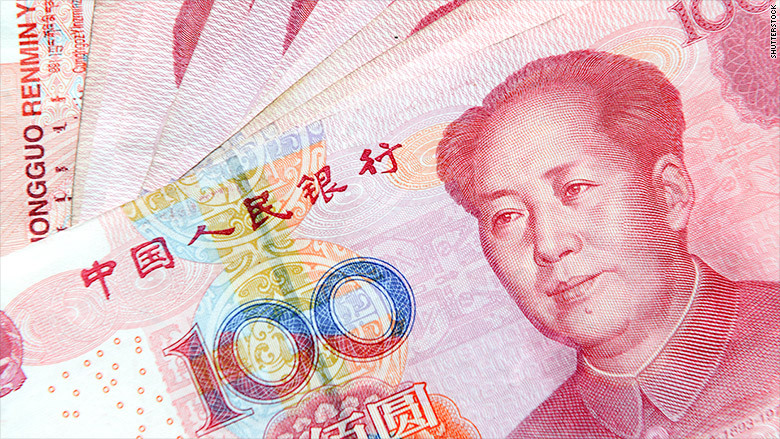 China's financial sector is the world's second-biggest, with $33 trillion in assets. "China's size and growth potential are irresistible attractions," Yao added. China has good reasons for making it easier for foreign financial firms to do business. Many of the big banks and financial services companies in China are owned by the government and lend a lot of cash to inefficient state-owned enterprises. People's Bank of China governor Zhou Xiaochuan recently said that a lack of outside competition could lead to "laziness" in the financial sector. Zhou has called for the market to play a bigger role in who banks lend to. Inefficient allocation of capital has left China with huge levels of corporate debt relative to the size of its economy. That's led to an increase in the number of so-called zombie companies, unproductive businesses kept alive only via a drip feed of credit. Opening up the sector to more foreign competition and expertise could force Chinese banks to become more efficient in how and where they lend money, said Larry Hu, chief China economist at Macquarie. But some China experts cautioned against getting too excited about the planned changes. "The devil is in the detail," said James McGregor, former CEO of Dow Jones in China and now Greater China chairman of public relations firm APCO Worldwide. China could still fudge regulations so local companies have a competitive advantage over foreign ones, he added. The American Chamber of Commerce in China gave a cautious welcome. Investment restrictions "have been hindering economic activity in China for far too long," Chairman William Zarit said. China has been taking baby steps to open up its financial system in recent years, including making it easier for foreigners to invest in its stock market. -- Steven Jiang in Beijing contributed to this report.